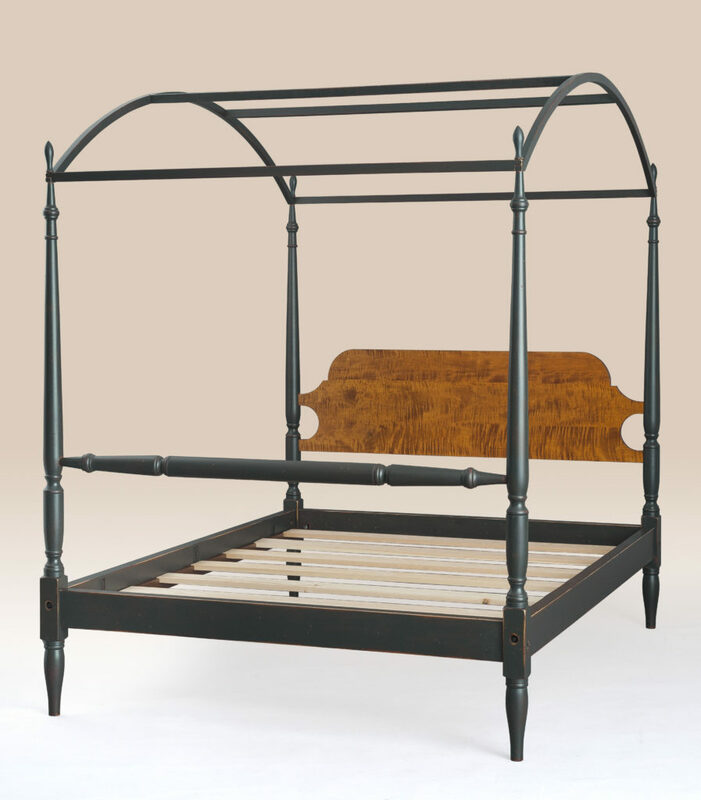 The Historical Harrisonburg Arched Canopy Bed was just added to the website. It is available in Twin, Full, Queen & King Size. You can order this bed in tiger maple, cherry and Historical painted finishes. American made.